HD Recording · DDD · Duration: 28 Min. 7 Sec. 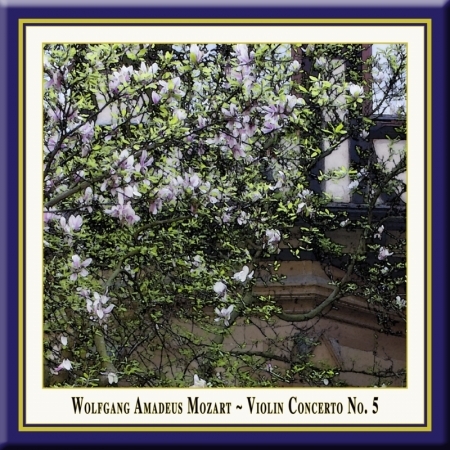 by Wolfgang Amadeus Mozart, performed by Linus Roth & Württemberg Chamber Orchestra. Conductor: Jörg Faerber. hen a renowned and internationally experienced orchestra such as the Wuerttemberg Chamber Orchestra Heilbronn gives the stage to a young virtuoso like Linus Roth, a classical atmosphere is created where the suspense between the audience and artists reaches a boiling point and decisively influences the style of playing. Professor Jörg Faerber staged a concert with precisely all these factors, in which the orchestra offers probably the best fundament for a young virtuoso with its perfect playing. Faerber impressively sets the intensity of the performance in tantalising contrast to the soloists' sheer feeling for Mozart. orn in 1977 in Ravensburg, Linus Roth was accepted to Prof. Nicolas Chumachenco's class at the Freiburg Conservatory at the age of 12. 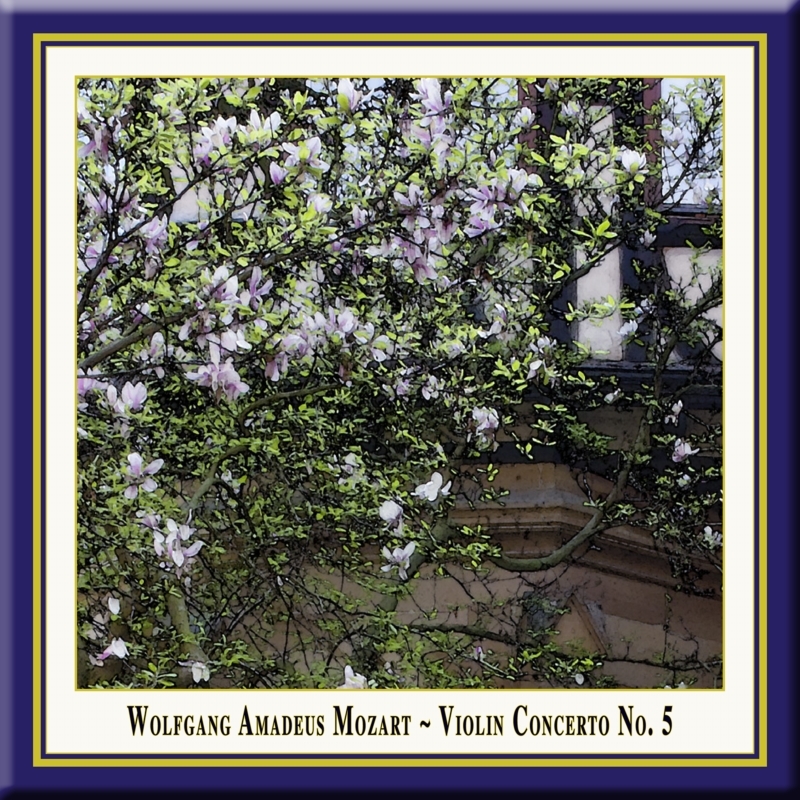 He continued with his studies in 1993 under the wing of Zakhar Bron at the Luebeck conservatory, where he passed his artistic final exams in 1998/99. Roth is the recipient of numerous national and international violin competition awards such as the "Wieniawski-Lipinski Competition" held in Lublin, and the "International Violin Competition Novosibirsk" where he received an honourable award for the best Bach interpretation. In 2006 Linus Roth received the "Echo Classik" of the German Phonoacademy as "Best Newcomer". He plays a violin "Dancla" by Antonio Stradivari, built in the year 1703.
every time I hear him." he Wuerttemberg Chamber Orchestra Heilbronn (Württembergisches Kammerorchester Heilbronn) has been together since 1960. Performances range from Baroque works, classical (also in symphonic cast), string compositions of the Romanesque period and early modernity, as well as avant-garde works. The orchestra plays at all relevant concert halls around the globe on large tours or at individual concerts with soloists such as Anne-Sophie Mutter, Maurice André, Alfred Brendel, James Galway, Viktoria Mullova, Frank Peter Zimmermann, Thomas Quasthoff, Martha Argerich and Sharon Kam. In addition, the orchestra places special emphasis on co-operation with fresh young soloists. örg Faerber, Head Conductor of the Wuerttemberg Chamber Orchestra Heilbronn, was born in Stuttgart where he later received his degree in conducting at the state conservatory (Staatliche Hochschule für Musik). After an eight-year career as a theatre bandmaster and composer for opera and movie, he founded the Wuerttemberg Chamber Orchestra Heilbronn in 1961, which, under his direction, grew to become one of Europe's leading chamber orchestras. He is regarded as one of the most renowned conductors of his time. In 1984 Jörg Faerber was awarded the German Federal Cross of Merit, and, in 1986, the academic title of Professor.